As a former supporter of Donald Trump and whom the press keeps pushing folks like me back into his arms with their bias reporting, I never saw a way he could win reelection. Donald barely got in the last time and not only has he not grown his base, but has lost some of it, like me. So with all of those facts, I saw no way on Earth he could win in 2020. 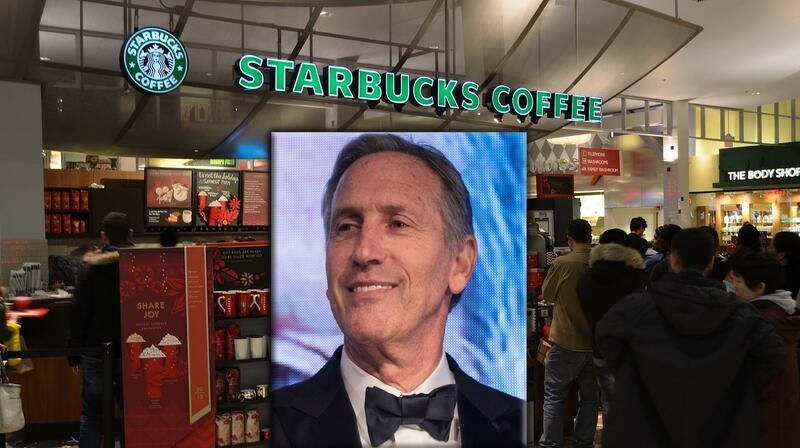 Enter Howard Schultz and now I can see a clear victory for a second term. I have penned many blogs explaining that Trump lost me, not because of his behavior, but because he ran as a Populist and then governed like a Conservative. When Mitch McConnell declares that the first two years of the Trump presidency was the most successful time in his entire career for conservatism, then Houston, we have a problem. That is not what I signed up for when Trump beat back 16 Conservatives in the Republican Primary and there is no way I am alone on that one. Howard will absolutely have a Ross Perot or Ralph Nader effect on 2020. In fact, he will have a more powerful result than either Ross or Ralph. Schultz will peel off all of the Democrats that see their party moving too far to the left, and that is a whole lot of people. Running as an independent he won’t have to call for socialized medicine and all of the other socialist tendencies that the left is headed for. Polls will show you with the Milenillianal generation we are headed there, but we are not there yet, not for 2020, and that assures a Trump victory. Howard is going to be under the most pressure he has ever felt for anything from the left to not run. Maybe, he doesn’t even apperceive how intense this is going to be. However, if he fights through that and runs, well then, welcome to eight years of Trump and the death of the Populist movement in America.